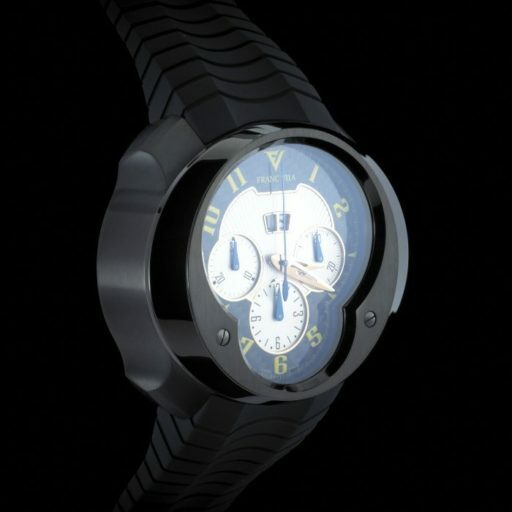 BeckerTime is proud to offer this 100% GENUINE FRANC VILA timepiece. 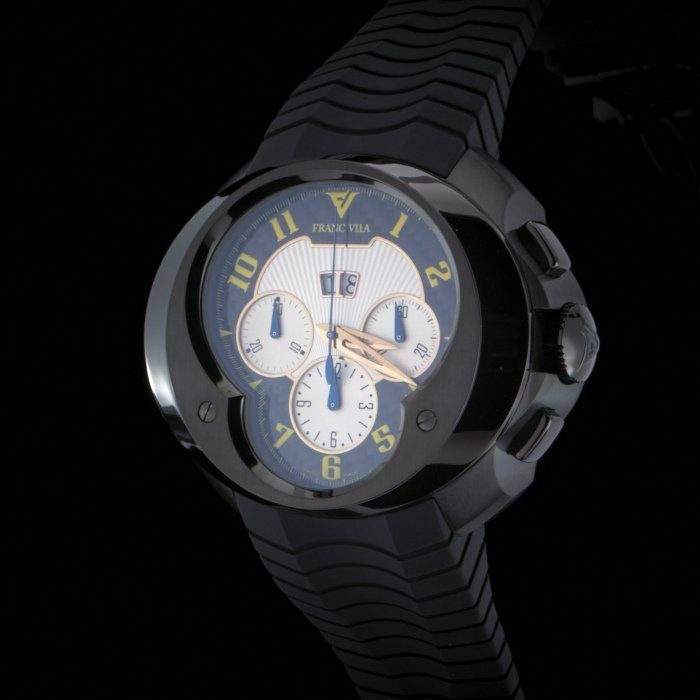 It is a Franc Vila FVa8ch Chronograph ALL Black DLC Big Date – Yellow Carbon Fiber Dial that is guaranteed to impress! This beauty is BRAND NEW and comes with the BeckerTime 1 year Warranty! This beauty also comes with the original collector’s box, papers, and certificate of authenticity. It also comes with a high-end collector’s Franc Vila leather winding box made by highend winder maker SwissKubik (normally sold for $1000 each). Don’t let this one get away. 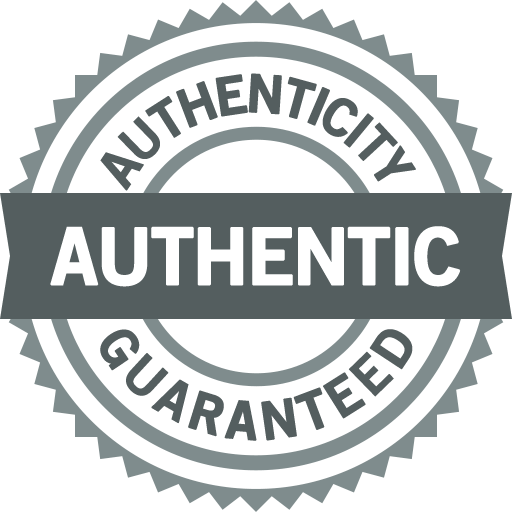 Buying a 100% genuine Franc Vila at this price in this good of condition doesn’t happen often. This type sells for $27,500 plus tax today! 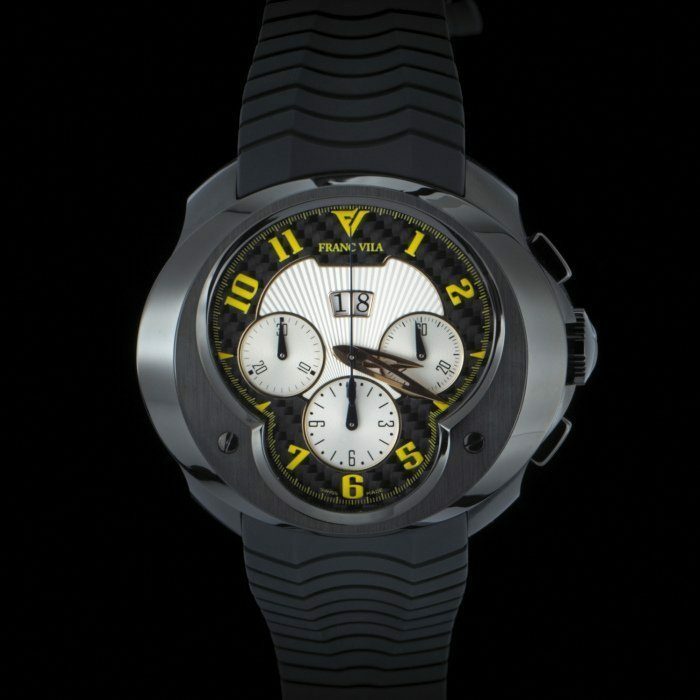 Dial Original Franc Vila black and white chronograph dial with yellow arabic numeral markers and Big Date display at 12’O clock is in pristine condition. 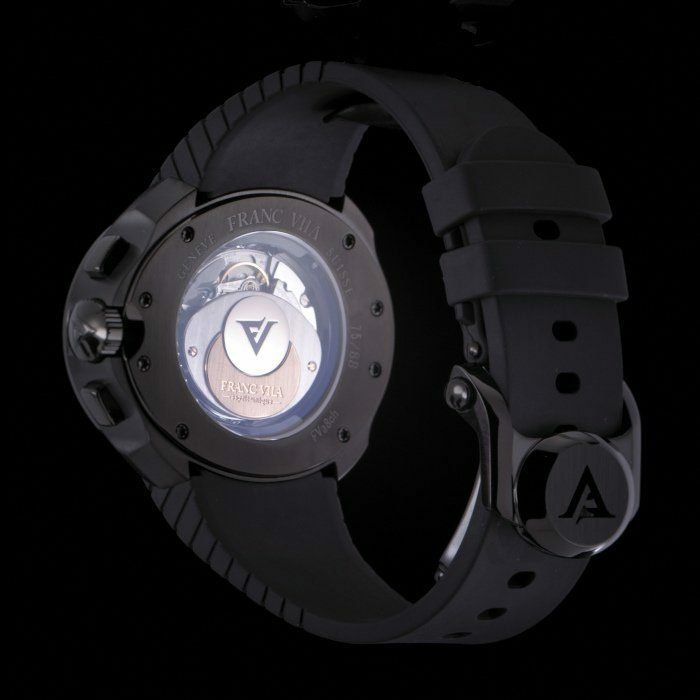 Band Original Franc Vila black rubber strap with Franc Vila signed stainless steel with rare ALL black DLC coating deployment buckle is brand new.